Recently, I spoke with L. J. Rittenhouse, president of Rittenhouse Rankings Inc., a strategic investor relations and coaching company. 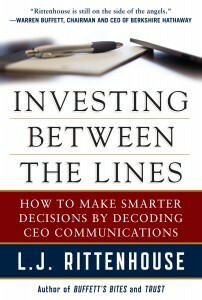 When I heard about her recent book Investing Between the Lines: How to Make Smarter Decisions by Decoding CEO Communications, I was intrigued by this idea that decoding executive communications can help me pick better investments. After reading this book I realized that her research and findings go beyond investing. Rittenhouse’s research introduces new, important ideas about strategy, culture, communications, values, and trustworthy leadership. Not long ago, I asked L.J. about how philosophy and research are supported by her work with CEOs and investors. You have said frequently that, “Words matter as much as numbers in determining the investment potential.” That’s not something I typically hear on Wall Street. I’m sure you’ve heard lots of pundits boldly predict the future by looking at past historical trends. How many of these predictions came true? Not many. In fact, Warren Buffett has observed that if the future resembled the past, then the Forbes 500 list of wealthiest people would include a number of librarians. My research shows that while no one can predict the future, we can create the future through our communications. We do this when we choose words that inspire others to imagine new opportunities – and let go of the status quo. This is a critical competency in today’s world. Standing still is not a viable option. 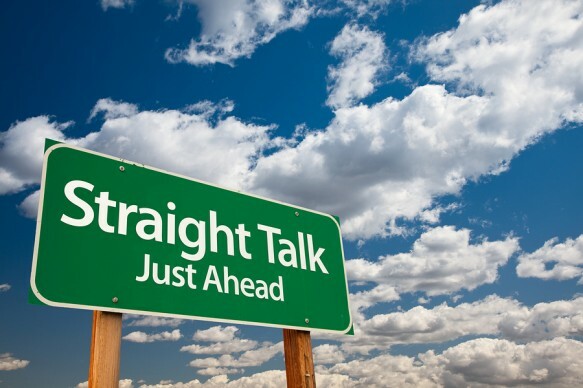 One of the great delusions in business is the idea that words don’t matter. They do. When my clients choose candor over obfuscation, they build reservoirs of trust. In fact, the words a CEO chooses will reveal the trustworthiness of the corporate accounting. This becomes obvious when you understand how financial statements are created. It starts with company employees who decide how much cash to recognize during a reporting period, and when and where to report it as earnings. These judgments may be conservative, like ones you’d expect at a Berkshire Hathaway company, or they may be aggressive, like Enron’s accounting. CEOs who rely on jargon, clichés, and confusing statements to explain their strategies will weaken trust and create cultures of fear. Employees will be discouraged from speaking truth to power. Rather than attend to the needs of customers, colleagues, owners and other stakeholders, they will look out for themselves. This increases enterprise risk and destabilizes earnings. On the other hand, CEOs who adopt a candor standard and choose authentic, relevant words will create high performance cultures. Striving to meet the needs of the company’s stakeholders, these CEOs and employees will execute clearly defined strategies. Let’s go back to Warren Buffett. He’s a master communicator. Many people who don’t even invest in his company read his shareholder letters. Since you’ve studied them at a level most don’t, tell us what characteristics make them exemplary. We are all rational beings, making decisions after carefully weighing the analytical arguments. We always keep an open mind. We study the facts, and then decide. Logical, analytical, practical. When confronting a big decision, our brain overpowers everything to help us arrive at the right conclusion. We don’t let emotions get in the way. Ever. Well, it’s probably not like that for most of us. We actually tend to make emotional decisions first, and then look for facts to justify that decision. That’s what the scientists say in recent studies. Our “gut” helps us decide. That’s emotion. In other words, we decide in our heart and justify it in our head. That’s not good or bad; it’s just the way it is. As a result, marketers tend to pull at our “heart strings” with emotional appeals. It’s why branding is so important—colors carefully chosen, music picked with care. All of it is designed in an effort to sway our emotional decision-making. We create a certain feeling through the use of sensual imagery. Ironically, these marketing decisions are not based on what marketers “feel” would work. Many of them are based on neuroscience. Expose a group of consumers to a product while giving them a brain scan. That shows what areas of the brain are lighting up. There are other tools that are used—blood pressure, skin tests, eye tracking, and all sorts of biofeedback mechanisms. The results help marketers see what works literally by seeing inside our brains. I’ve met people who seem to be waiting for something. They aren’t getting started on their dreams because they think someone is going to show up and change everything. For most, that never happens. For Andy Andrews, it did. One person showed up and changed the direction of his life. Let me explain. Today the world knows the name Andy Andrews as a best-selling author. Others know him as that hilarious speaker who showed up at a convention, had you in hysterics, and before you even realized it…he had changed your thinking. 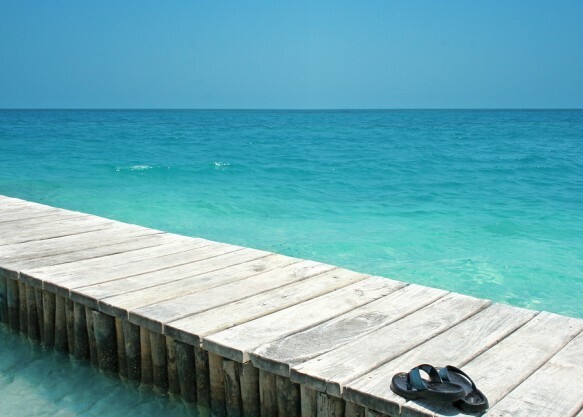 But, long before Andy’s success, he was broke, homeless, and sleeping under a pier on the Gulf coast. And then, a man by the name of Jones showed up, and his life literally changed. Andy, you first told the world about your story and about this incredible teacher in your book, The Noticer. You have just released a new book, The Noticer Returns. There are so many avenues we could explore, but I want to focus on something key to your success and this new book. And that is a “mentoring” relationship. When Jones appeared in your life, you were ready and willing to listen. Somehow he got through to you. Why was Jones able to reach into your world and change it? It’s funny that you say I was “ready and willing to listen,” because in many ways I actually wasn’t! Jones was the only person who was willing to tell me the truth about myself and, at first, I didn’t like what he was saying one bit. Fortunately, he had a way of bringing people around to the right perspective, which he eventually did for me. 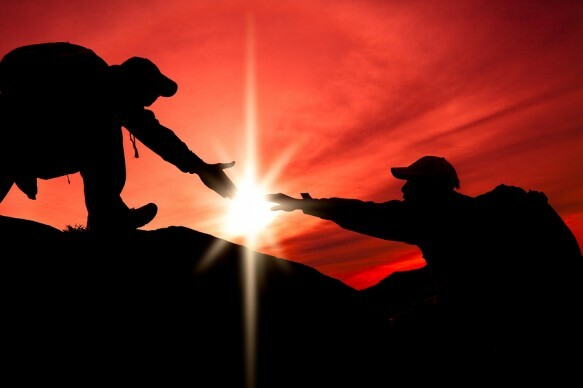 When do you know you are ready for a mentor? The number one key thing you need to have in order to be ready for a mentor is a spirit of openness. You have to be open to the possibility that you don’t know anything or that some of what you DO know might be incorrect. You have to accept that there may be things wrong with your thinking. The idea for the novel is not only clear, but the story is outlined and researched. Still, the page is blank. She is waiting for the inspiration to make it happen. The business to create a fortune is constantly pushed to the backburner. Magazines and books are consumed like candy as he studies ideas only to continue looking. The idea never is good enough. Someone is waiting for a divine moment, that flash of insight that is a near-religious experience. Until that happens, the idea is frozen. Creativity myths have been around for centuries. David, you say that these myths hinder the creative process. In fact, the subtitle of your new book is The Truth About How Innovative Companies and People Generate Great ideas. How does knowing the truth about these myths help? Why is rewriting the myths so important? 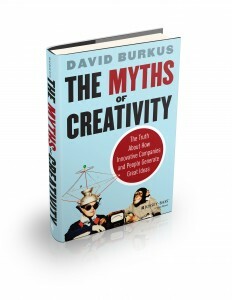 David Burkus is the author of The Myths of Creativity: The Truth About How Innovative Companies and People Generate Great Ideas. 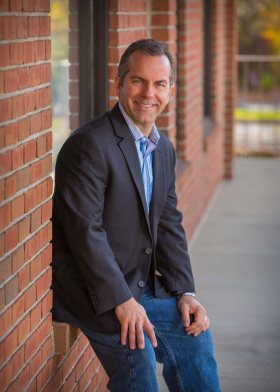 He is also founder of LDRLB and assistant professor of management at Oral Roberts University. Find out more about David at www.davidburkus.com. He also writes for Forbes, 99U, and the Harvard Business Review. We’ve been writing myths for thousands of years. Myths are attempts to describe the world around us, everything from where sun comes from to the creative process. But myths are dangerous because they’re often not true, or at least are half-true. So it is with the myths surrounding creativity. They help us explain a little bit, but because they aren’t totally true, believing the myths in entirety can actually limit our ability to express our creativity. If we question them, find the truth, and rewrite them, then we stand a better chance of reaching our full potential. You are rewriting and busting these myths, but they are legendary in some ways because we love them. That “falling apple” moment or “lightning strike.” Why do we love these stories? I think we tell a lot of these stories because they let us off the hook. If some outside force, a fallen apple or a lightning strike, is responsible for our creative insight, then the pressure is taken off us to generate great ideas. But creativity doesn’t come from outside ourselves, it comes from inside and from thought patterns we’re all capable of, as long as we believe we are capable of them. Your new book The Myths of Creativity outlines ten creative myths. 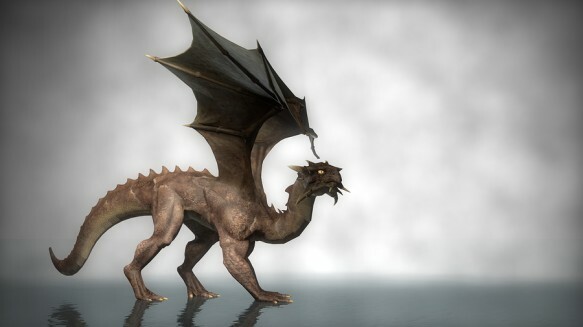 Let’s walk through a few of these myths. Starting with the Expert Myth, aren’t trained experts the best source for creative solutions to dire problems? Not always. In fact the research shows that many times professionals in a given field reach a peak early or mid-way through their career and then their contribution to the domain lessens. In Physics for example, it’s commonly held that PhDs will make their greatest discoveries before the age of 30. (Einstein was 26 when he published the paper that won him a Nobel Prize.) The reason is that expertise is important, but truly creative ideas often come from people on the fringes of a domain. They have enough experience to understand problems, but don’t have enough experience to write off “crazy” ideas without testing them. They don’t know what won’t work; so they try everything. The lesson is to keep learning and gaining experience in a variety of domains because you never know what field your breakthrough insight will come from. Let’s talk about The Constraints Myth. You write “constraints shape our creative pursuits.” Give an example of how constraints encourage creativity.